Advanced functional materials can address urgent needs in energy, environment and healthcare. I will present my work on nanostructured functional materials with desired thermal/electronic/optical properties, and provide fundamental insight into how structure controls these properties. 1) Polymers are lightweight, chemically inert and electrically insulating. Can common thermally insulating polymers be engineered into highly thermally conductive materials? I will show two affirmative examples. First, certain stretched polyethylene films transfer heat four times faster than stainless steel. Second, I have developed amorphous polymers with a 10-fold increase in thermal conductivity by engineering both inter- and intramolecular interactions. 2) Supercapacitors have seen increasing attention in applications of powering miniaturized electronic devices. But it remains challenging to manufacture thin-film supercapacitors with high energy density, because the necessary components scale poorly and are ill-suited for in-plane geometries. I will present a printable thin-film supercapacitor with improved energy density. Starting with the fundamental theory of the physical and chemical processes that occur in charge storage capacitors, I will discuss advanced nanocomposites for ink formulations, enabling the high-speed printing of supercapacitor electrodes at industrial scale. 3) I will offer strategies for improving graphene processability by functionalization, and report the first organic-solution-processable functionalized graphene achieved by covalent bonds. Such nanomaterials exhibit extraordinary nonlinear optical properties, outperforming state-of-the-art fullerene. I will conclude with a discussion of future research that will further develop advanced soft materials and printable devices and integrated systems. 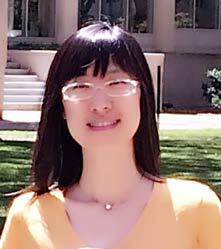 A chemist by training, Yanfei is currently a postdoctoral associate in the Mechanical Engineering Department at MIT, supervised by Professor Gang Chen (department head). Funded by DOD, DOE and MIT Deshpande Center, her research focuses on engineering plastic for thermal management applications. Yanfei has previously worked on the European GENIUS project with Professor Klaus Müllen (president of the German Chemical Society, and director of the Max Planck Institute for Polymer Research). She has secured Marie-Curie fellowships with major European institutions and companies, including the Max Planck Institute for Polymer Research, Humboldt University, University of Cambridge, Italian National Research Council, Université de Strasbourg and the headquarters of BASF SE. She has 25 peerreviewed publications and 10 patents (grant and application) with total citation count over 2600. She has been awarded “key featured speakers on accelerating the commercialization of global innovation, Techconnect World Innovation 2015” and “Top 10 Reviewers for The Royal Society of Chemistry, JMCC 2016”.